Arizona lawyers represent people who have suffered severe burn injuries due to the negligent conduct of third parties. 2.4 million burn injuries are reported every year in the United States, including 20,000 major burns that affect more than one-quarter of the victim’s body surface. About 10,000 Americans die from burns, and one million more suffer serious permanent disabilities from their burn injuries. First degree. Minor burns which affect only the first layer of skin. Second degree. Relatively superficial burns which affect both the first layer of skin and the one just below it. Third degree. These are the most severe burns, as they injure all the layers of skin as well as the underlying tissue. Severe burn injuries are extraordinarily painful and they may require multiple skin grafts. They often leave the victims with permanent scars and other disfigurement. Establishing the responsibility of a careless third party in a burn case can be difficult, especially in cases where there were no impartial witnesses. 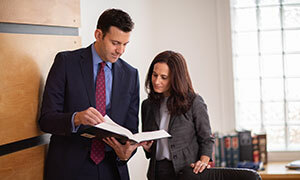 At our law firm, we employ the best experts to collect and analyze all relevant evidence and, when advisable, to recreate a particular accident on computers using virtual reality programs. Our accident investigators, paralegals and lawyers leave no stone unturned in the course of our work on our burn clients’ cases. Because delay works against injured accident victims, we devote maximum attention to the investigation of all accident cases immediately upon being retained. We understand the special complexities of medicine and law that apply to burn injury cases. We also have the resources to stand toe-to-toe with the largest corporations, insurance companies and governments. Please call or email us for a confidential, no-obligation consultation about your burn injury matter. Our experienced staff of personal injury lawyers are ready to help you now, regardless of where you live. For free answers to your legal questions about injuries from burn accidents, just complete our convenient online contact form.